Native America, a new four-part PBS documentary, explores the splendor and ingenuity of the world created by America’s First Peoples, 15,000 years ago. 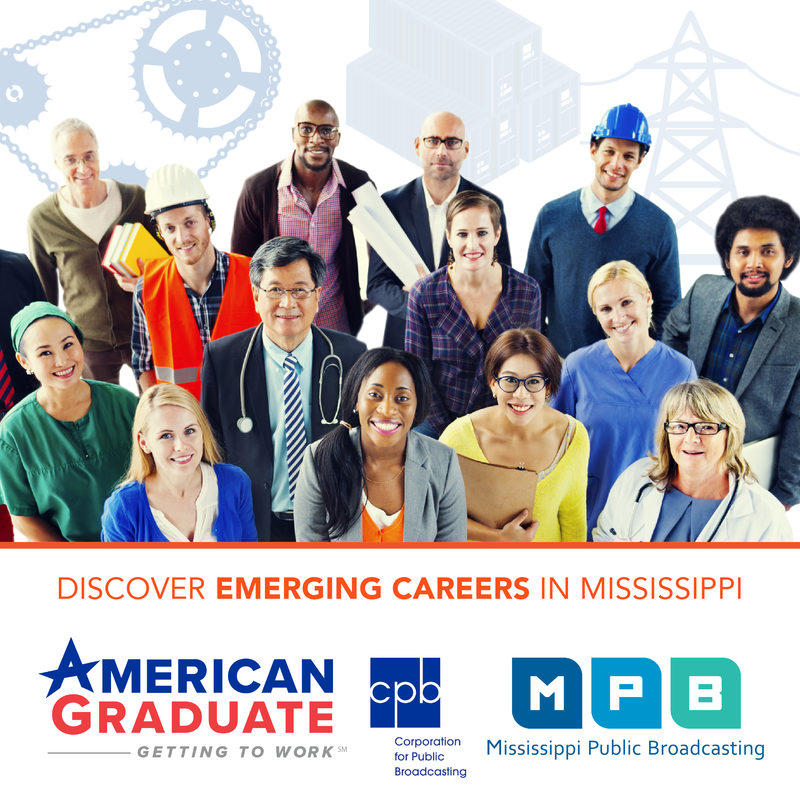 Watch the documentary at 8 p.m. Tuesdays, Oct. 23, Oct. 30, and Nov 13 on MPB Television. 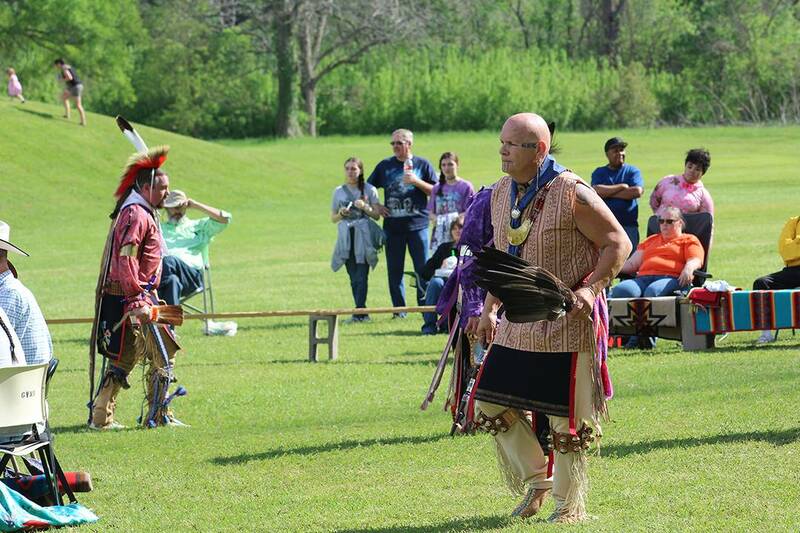 The Native American experience is central to Mississippi’s story. As early as the 1920s the Mississippi Department of Archives and History (MDAH) recognized the significance of Native American history, sending archaeologists out around the state to survey mound sites. Still today the story of Native Americans is central to our work and the stories we tell at the Museum of Mississippi History and at the Grand Village of the Natchez Indians and Winterville Mounds. The Museum of Mississippi History highlights the complex and sophisticated societies of Native American people, their contact with Europeans and enslaved Africans, and the impact of statehood. 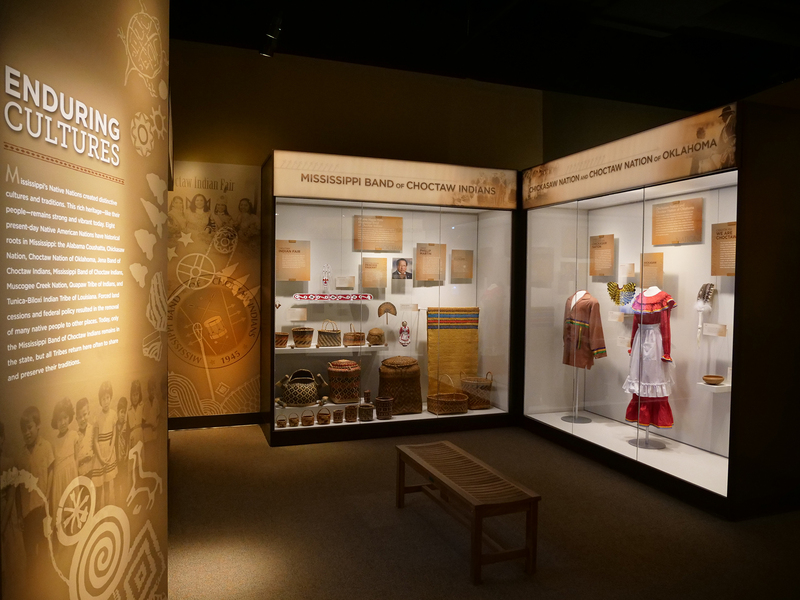 The thematic gallery Enduring Cultures showcases the distinctive cultures and traditions that Mississippi’s Native Nations have created and how this rich heritage remains vibrant and strong today. MDAH also preserves and operates two of the state’s premiere mound sites—Winterville Mounds, just north of Greenville, and Grand Village of the Natchez Indians in Natchez. These National Historical Landmarks were sacred ceremonial centers for sophisticated societies. Winterville Mounds was in use from about AD 1000 to 1450. Archaeological evidence indicates that the Winterville people lived away from the mound center on family farms in scattered settlement districts throughout the Yazoo-Mississippi River Delta basin. Only the highest-ranking tribal officials lived at the mound center. The Winterville ceremonial center originally contained at least 23 mounds. The present site features 12 mounds, including the 55-foot-tall Mound A, and two large plazas. Between 1682 and 1729 the Grand Village of the Natchez Indians was the main ceremonial site for the Natchez people, who inhabited what is now southwest Mississippi for more than a thousand years. French explorers, priests, and journalists documented their observations of the Natchez and the ceremonial mounds they built on the banks of St. Catherine Creek, including, the Great Sun’s Mound and the Temple Mound. These sites are just a few among Mississippi’s many significant mound sites. Dozens of others are highlighted by the Mississippi Mound Trail. I hope that the new PBS documentary Native America will inspire Mississippians to learn more about the history of the First Peoples in our state and to visit the many sites around the state that celebrate and honor this rich and important history.